Make sure your Sony Xperia XZ2 is always fully charged and synced with this compatible USB 3.1 Type-C Male To USB 3.0 Male Cable. You can use this cable with a USB wall charger or through your desktop or laptop. This Sony Xperia XZ2 compatible cable is designed to connect your phone and other Type-C equipped hardware to USB powered equipment so you can sync and charge your device. 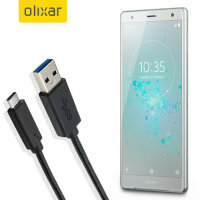 This quality cable allows you to connect your Sony Xperia XZ2 to your laptop or desktop, in order to charge your phone and exchange / sync data simultaneously. 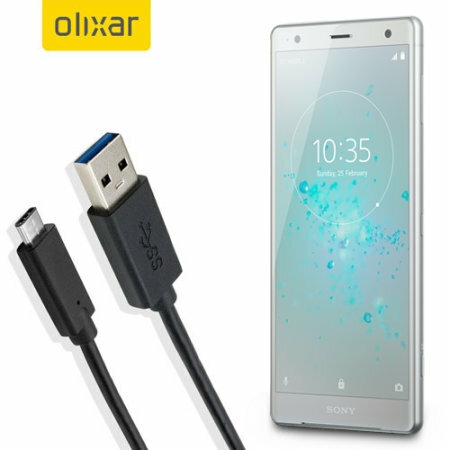 With a standard USB connection this cable is compatible with a mains charger featuring a USB input, as well as a laptop or PC - so you have complete flexibility for your Sony Xperia XZ2 charging needs. Don't take the risk, as the Olixar USB-C Charging Cable has been tested to ensure it's compliant with USB-A to USB-C standards, featuring the required 5T6kΩ resistor necessary to protect your devices.